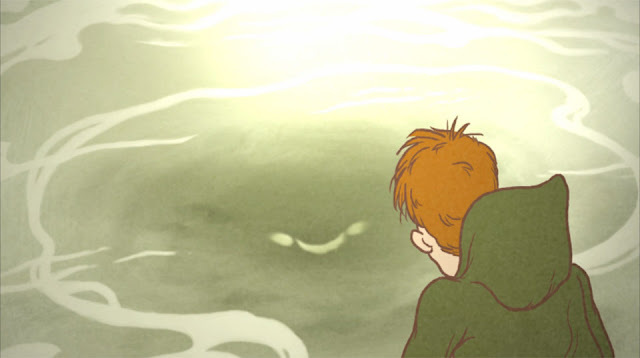 Lake Beast is an excellent new animated short about a man who investigates a mysterious vision from his childhood. It's the latest work from my friend Vance Reeser who also animated Foot: Phantom of the Forest, the short I co-directed for FunKo. The project has been three years in the making, and was among the very first to get funding from Kickstarter.com. If your day could use an intriguing, eerie story that's filled with atmospheric beauty then I highly recommend watching it. Don't forget to turn up your headphones and hit the full screen button. A pay-what-you-want download is available HERE. Lake Beast from Vance Reeser on Vimeo.